We are a Czech company with a tradition of manufacture dating back to 1990. We develop and manufacture industrial furnaces, kilns and drying ovens upon individual requests of our customers and we offer a wide portfolio of standard models as well. We pay special attention to development of equipment with low impact to the environment. Receiving an order, it is just a beginning of a process, which does not end with the delivery; our priority is a long-term customer care and customer’s full satisfaction with the quality of our products and services. 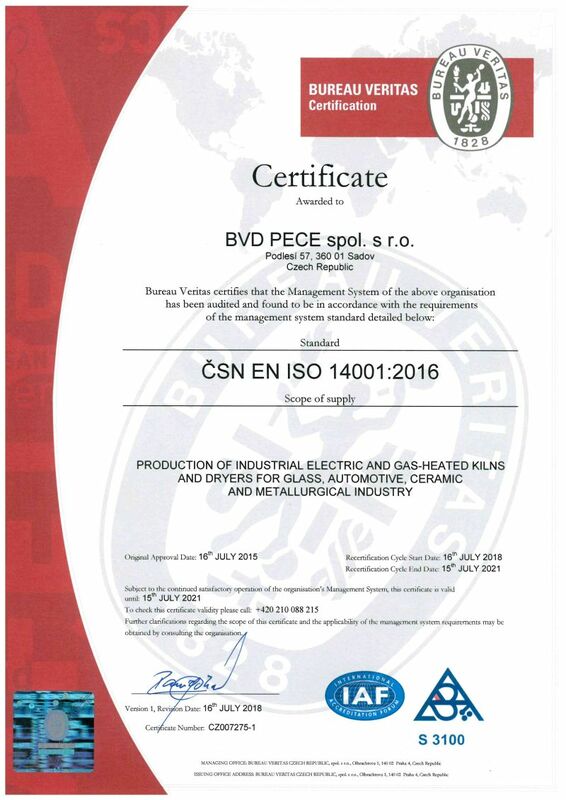 BVD team consist of specialists with years of experience in the field of development, technical preparation and manufacture of thermal equipment. Our programs of lifelong education continuously enable the engineers to higher their qualification and knowledges. 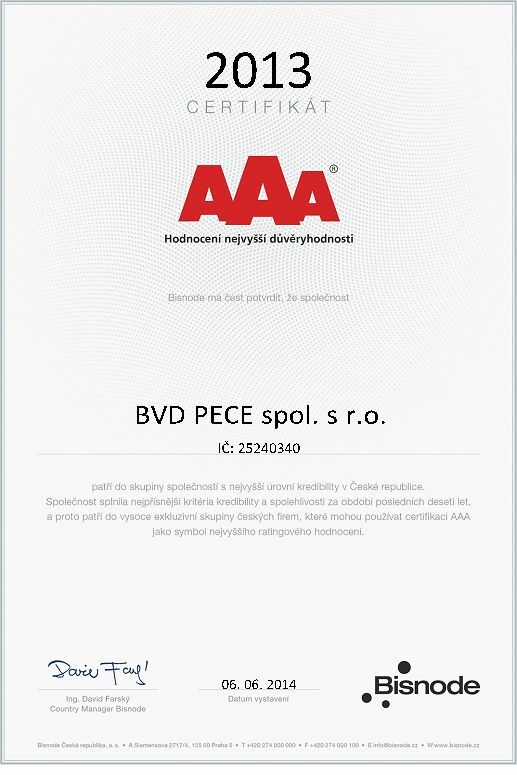 In the past years, we were ISO 9001:14001 certified and we obtained the AAA Highest Creditworthiness Certificate. Our goal is to manufacture high quality products with a long service life and with the highest technical level. That is why we follow the Industry 4.0 direction, aiming to manufacture digitalized and automatized equipment. Our products are divided into categories of use and different technologies of thermal treatment. If you fail finding exactly the product you need, please do not hesitate to contact us, we will offer you a made-to-measure equipment.